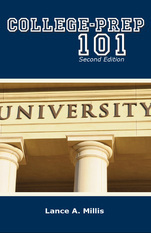 CollegePrep-101 - Advice for Adult Learners - COLLEGEPREP-101 - Home of all your college preparation needs. For many adult learners, going back to school can be an overwhelming or even scary experience. Time constraints, fears of failing and financial worries keep non-traditional students from succeeding, or even going back to school. It doesn’t have to be that way! By asking yourself a few questions upfront, you can not only be prepared to return to school, but be prepared to succeed, too. 1. What are my fears about returning back to school? Every non-traditional student faces certain fears about going back to school. You may be asking yourself, “Will I fit in with the other students?” or “Will I be able to balance it with everything else in my life?” Start by visiting with your school’s admission representatives. They can answer your questions and concerns, and visit with you about helpful student services, flexible schedules, typical class sizes and financial aid opportunities. Get your questions answered, and you’ll feel less anxiety about returning to school. 2. Will I face time and schedule constraints? Most adults have demands on their time and attention. Between family responsibilities, career commitments and social obligations, you may wonder how school will fit into your busy schedule. Fortunately, many schools cater specifically to the schedules of adult learners. You can attend class during the day, evening or even weekends. Choose a class schedule that will fit into your life the easiest without interrupting your career and family time. Due to your busy schedule, you are going to have to prioritize as a non-traditional student. Unlike a traditional student, you will have work, family and social obligations begging for a bit of your time. You can handle it though! As a working adult, you’re great at multi-tasking, right?! You will have to ask yourself if you can prioritize and set aside a certain amount of time each week for your studies. This may mean clearing some week nights and weekends for homework, and saying no to activities you usually participate in. It’s important to remember it will be a time commitment, but it will be worth it. 4. Will I choose online learning or do I prefer a traditional classroom? Online programs can be convenient for adult learners. They allow you to work at a time and place that works for you on no set schedule. That means you can work on assignments during your lunch break, or at 1 a.m. if you so choose! However, you must know your personal learning style—just as many adult learners prefer an actual classroom experience. They feel they can learn better interacting directly with their instructors and classmates. Some just prefer to have traditional textbooks and assignments rather than deal with new technology. Whatever you choose, make sure it’s the format you feel most comfortable with. 5. How will I afford my education? One of the biggest concerns adult learners have about returning to school is how to afford their education. With house payments or rent, groceries, gas, family needs and much more, trying to budget education can be tricky. However, it’s important to remember your long-term goals when experiencing short-term sacrifices. Many schools offer financial assistance to students who qualify. Visit with your school’s financial aid department. A financial aid specialist can explain your options and if you qualify for financial aid. Worrying about money should not keep you from attaining your education. Returning to school can be a very rewarding endeavor. You can make a career change, advance your current career, and provide greater opportunities for yourself and your family. If you’re ready to return to school, take some time to ask yourself the above questions to make your experience a bit easier.